A truck drives on top of a levee that protects a soybean field in New Madrid County, Mo., when the Mississippi River floods. The levee system here is part of a $165 million dollar project called the New Madrid Floodway Project that's designed to protect the land around the Mississippi River. 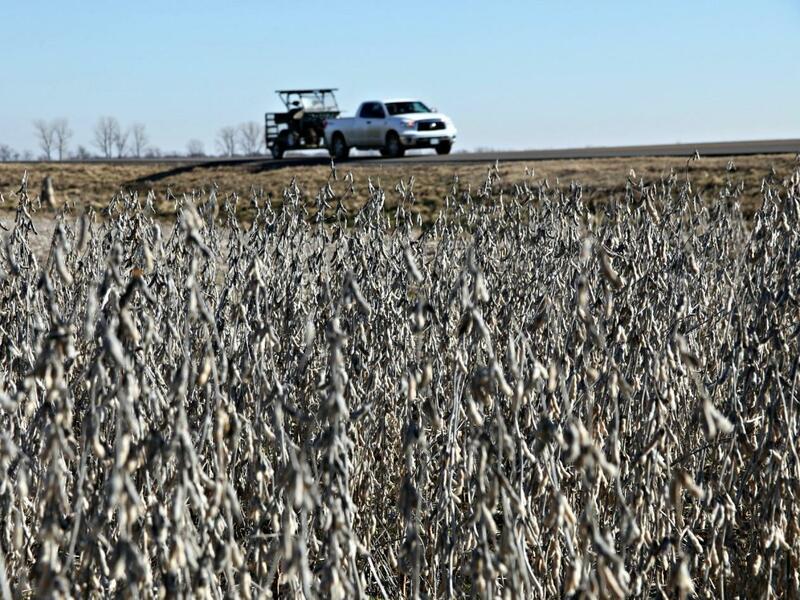 Farmers grow millions of dollars' worth of soybeans, corn, cotton and rice there. The farmland isn't without its weaknesses, though. 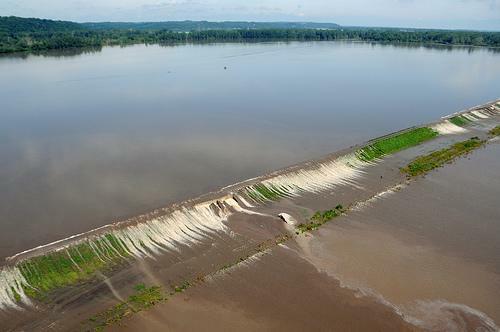 During major Mississippi River floods, the Army Corps diverts the excess water into this floodplain, called the New Madrid Floodway. Now, the Corps wants to effectively separate the farmland from the river by completing the levee system and building an earthen wall along a 1,500-foot gap. This final levee would essentially cordon off the lucrative farmland in the floodway, protecting the crops from most floods. That's good for farmers west of the river, but maybe not so good for towns on the other side. "[With] what we can produce in the floodway itself, in [those] 133,000 acres of farmland, we're able to feed on an annual basis about 1.3 million people," says Kevin Mainord, farmer and mayor of East Prairie, Mo. He says closing that gap is critical. When the Army Corps planned to open up the floodway to help Cairo, the state of Missouri, backed by U.S. members of Congress, sued to stop the move. The state wanted to prevent damage to crops already planted. For two days, the floodwaters crept up on Cairo. Mayor Tyrone Coleman says after the town was evacuated, some stayed behind to fight the flood. On the other side, with the floodway open, the water wiped away many of crops. Many of those residents never returned either. "The floodway was destroyed — completely," Mainord says. "There are probably seven residents that are living there now , where there were hundreds before the flood of 2011." Now, the Army Corps wants to close off the last part of the levee system, and that's pitting some deep-pocketed farm owners against less wealthy towns like Cairo. Environmental groups, like the National Wildlife Federation, are also fighting the project. They say cutting off the floodway with a plug would be catastrophic for the 50,000 acres of wetland that fish and waterfowl call home. Project engineer Danny Ward says the Corps' most recent environmental impact statement is meant to appease those concerns. The Corps says the new levee won't affect Cairo, and the floodway will still be used during historic floods. But Mayor Coleman, who had a front-row seat to the devastation in 2011, isn't buying it. "You know, it doesn't take a rocket scientist to see what's happening here," Coleman says. 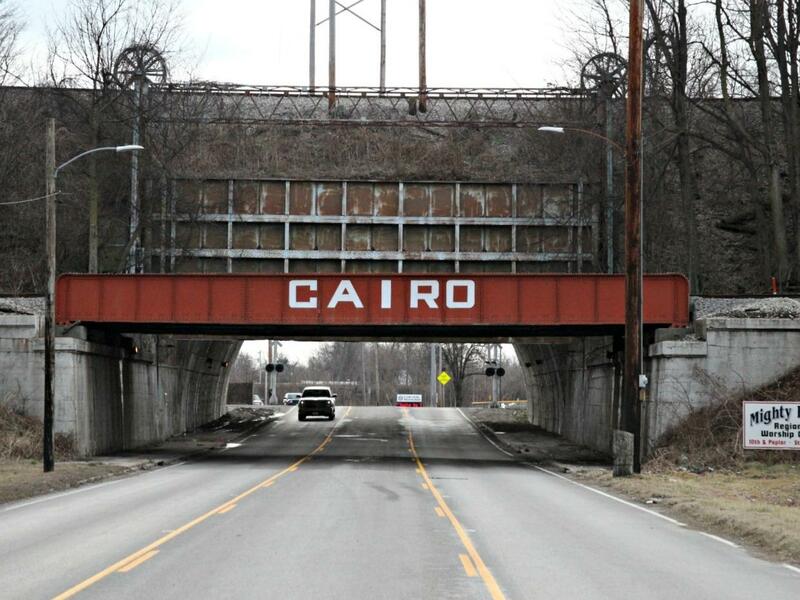 As a final play, Cairo has teamed up with other river towns and conservation groups to ask the Environmental Protection Agency to use part of the Clean Water Act to kill the entire project. Sometime after March, the public will have a chance to comment on the project, after an independent panel reviews the Corps' most recent environmental impact statement. For years, some small towns and farmers along the Mississippi River have been battling each other over a flood project set up by the U.S. Army Corps of Engineers. On the western shore, farmers need the project to protect their valuable farmland. On the eastern side of the river, some small towns say the project protects influential farmers at the cost of their small communities. Kristofor Husted of member station KBIA reports. KRISTOFOR HUSTED, BYLINE: Lynn Bock is driving on top of a levee, with the Mississippi River on the east and farmland to the west. He's the attorney for the St. John Levee and Drainage District. LYNN BOCK: That's a borrow pit. That's where they borrowed the dirt to build the levee that we're riding on. Over on the other side of those trees are more fields - just soybeans. HUSTED: The levee system here as part of a $165 million project designed to protect the land around the Mississippi River. Farmers grow millions of dollars' worth of soybeans, corn, cotton and rice here. BOCK: When you look at these fields, that's our strip mall. That's our economy in this part of the world. And we make it or don't make it based on how farmers do. HUSTED: The land isn't without its weaknesses, though. 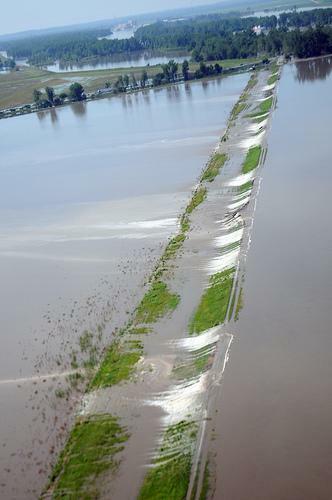 During major Mississippi River floods, the Army Corps diverts the excess water into this floodplain, called the New Madrid Floodway. Now the core wants to effectively separate the land from the river by completing the levee system and building an earthen wall along a 1,500 foot gap. This final levee essentially cordons off the lucrative farmland in the floodway, protecting the crops from most floods. That's good for farmers west of the river but maybe not so good for towns on the other side. The levee system protects the farms most of the time. But every 75 years or so, a major flood slams the area. Then, the New Madrid Floodway has to be opened up and used as, well, a floodway. That's what happened in the great flood of 2011. The floodwater was sweeping up to the edges of Cairo, Ill., a town of 2,800 with many low-income residents. MONICA SMITH: We did everything imaginable to help people during that situation because it was awful. I mean, people had to leave their homes that hadn't been out of their homes in years. And then some of them didn't have any place to go. HUSTED: That's Monica Smith, who works at the Cairo Library. When the Army Corps planned to open up the floodway to help Cairo, the state of Missouri sued to stop it. For two days, the floodwaters crept up on Cairo. Mayor Tyrone Coleman says after the town was evacuated, some stayed behind to fight the flood. MAYOR TYRONE COLEMAN: We had to utilize inmates from the then-maximum prison, Corps of Engineer personnel, National Guard. And then there were a number of local citizens helped in sandbagging. HUSTED: After two intense and difficult days, Missouri lost the legal challenge, and the Corps opened the floodway. But some say it was too little, too late. 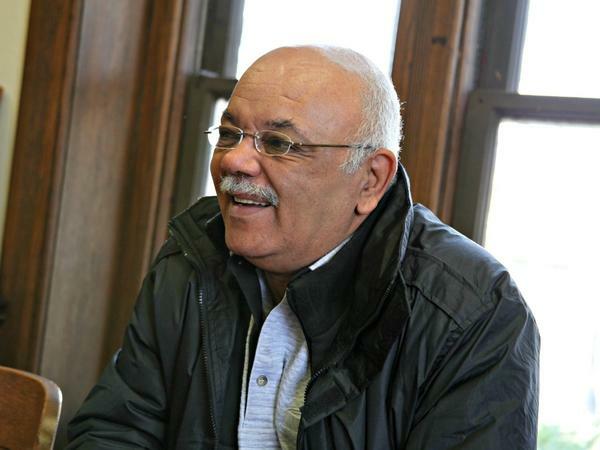 And after that flood, many residents never returned to Cairo. Now the Army Corps wants to close off the last part of the levee system, and that's pitting some deep-pocketed farm owners against less wealthy towns like Cairo. The Corps says the new levee won't affect the town. And the floodway will still be used during historic floods. But Mayor Coleman, who had a front-row seat to the devastation of 2011, isn't buying it. COLEMAN: You know, it doesn't take a rocket scientist to see what's happening here. HUSTED: Cairo has teamed up with conservation groups to ask the Environmental Protection Agency to use part of the Clean Water Act to kill the entire project. If vetoed, it would be the 14th project shut down under the act since 1981. The public will have a chance to comment on the project after March, once the Corps finishes its final environmental impact statement. For NPR News, I'm Kristofor Husted. MONTAGNE: That story comes to us from Harvest Public Media, a reporting collaboration focusing on agriculture and food production. This is NPR News. Transcript provided by NPR, Copyright NPR. The Army Corps of Engineers visited Cairo, Illinois on yesterday to check on reconstruction projects following last year’s devastating floods. The Corps will invest more than $100 million toward flood protection systems at the confluence of the Ohio and Mississippi Rivers. A new study suggests the Army Corps of Engineers made the right decision when it blew up the Birds Point-New Madrid levee last year. The study’s authors argue the floodway would have been inundated with or without Corps action. Ken Olson is a soil sciences professor at the University of Illinois at Urbana-Champaign, and he co-authored the study.